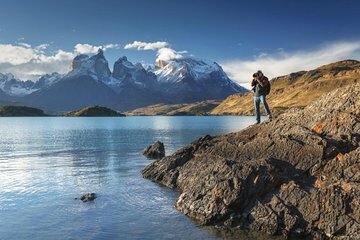 Eliminate the need for advanced planning on a hiking tour of Torres del Paine National Park’s scenic highlights, led by a guide. Discover the park’s lakes, valleys, and glaciers on a 3-day tour, ideal for adventurers and nature lovers on limited time. Avoid hidden costs with entrance fee, meals, and accommodation included as per itinerary, and relax with included hotel pickup and drop-off.